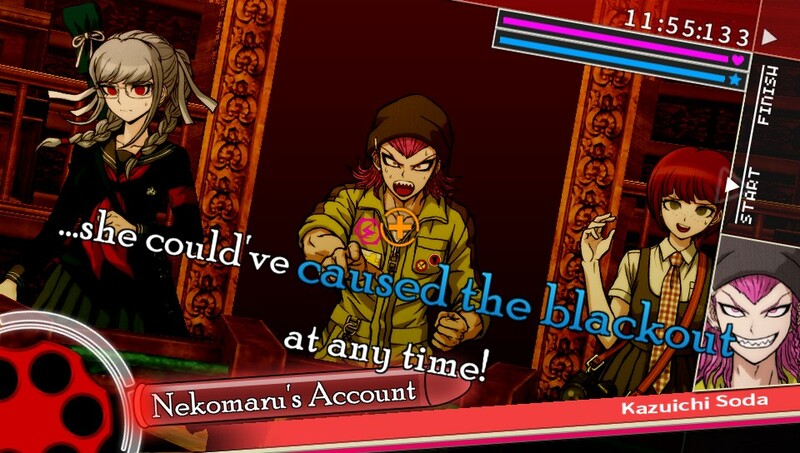 Ever since the release of the first game, Dangan Ronpa: Trigger Happy Havoc, in the US, fans have been eagerly awaiting another dose of the “Mutual Killing” game that the franchise promises. The game apparently did very well in the US, as NIS America, who had initially announced that they would look into releasing the second game stateside once they saw the sales on the first game, announced almost immediately upon release that the second game would be coming to the US later in the year. This is certainly great news for fans, as Spike Chunsoft have announced no less than two new games in the series for Japanese audiences, and the possibility of seeing even more Dangan Ronpa in the US is an awesome prospect indeed. That said, releasing two games in the same franchise in the same calendar year might work for something like Assassin’s Creed, but with a more niche franchise, it can be a harder sell for the parent company to make, especially when the first game is as generally well regarded as Dangan Ronpa is. Well, it turns out that Dangan Ronpa 2: Goodbye Despair is every bit the impressive experience its predecessor was, as it indicated during our initial preview, as it manages to consistently innovate and surprise the player as much as the first game did, and then some. 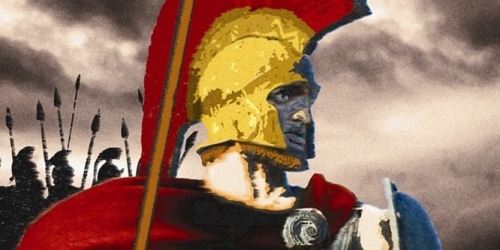 It’s not quite the experience the first game was, which is often the case with sequels, but make no mistake: if you had any sort of appreciation for the original, you’ll love what’s here just as much. 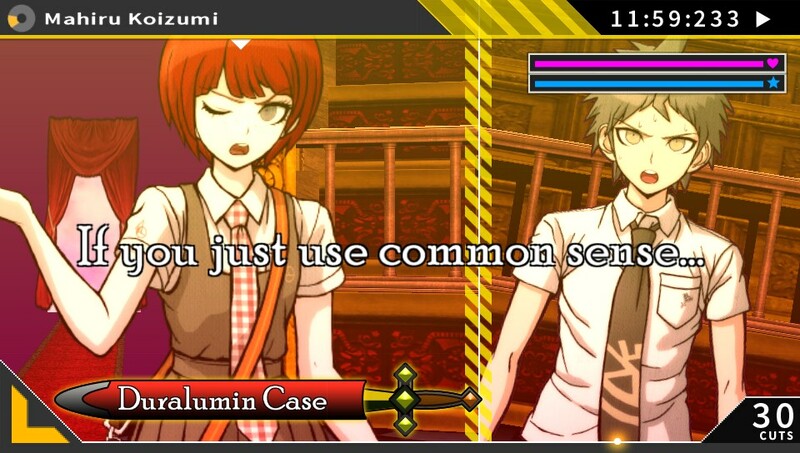 The game essentially starts off in much the same way as its predecessor: you take on the role of Hajime Hinata, new student to Hope’s Peak Academy, on his first day in school. During his introductory monologue, Hajime kind of blacks out, only to wake up facing a door that leads into a classroom containing his new classmates. Hope’s Peak, for those coming in late, generally only caters to “Ultimates,” those who are the absolute best at what they do, even if what they do isn’t terribly… useful so to say. Before you’re given the chance to reflect on this, though, you’re introduced to Usami, your new stuffed animal teacher, who turns the class into a field trip, complete with ripping down the classroom walls and revealing you’ve been on the beach this whole time. 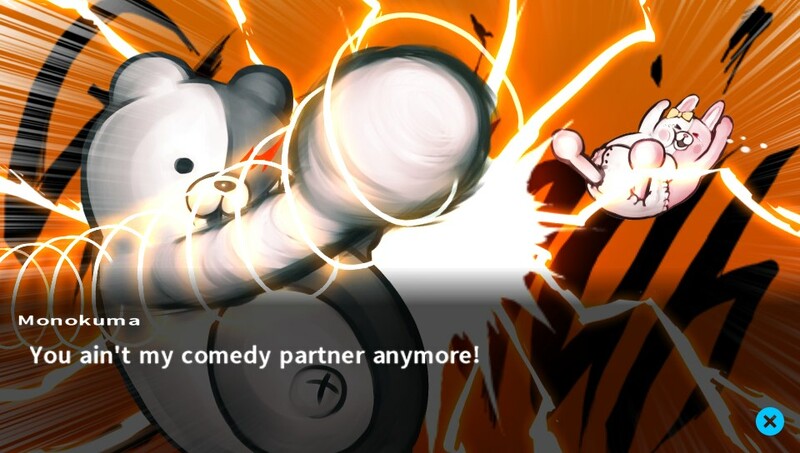 While everything starts off as sunshine and roses, however, they quickly turn to crap as everyone’s least favorite monochrome bear, Monokuma, shows up, beats the mess out of Usami, turns her into his “little sister” Monomi, and usurps control of the island. 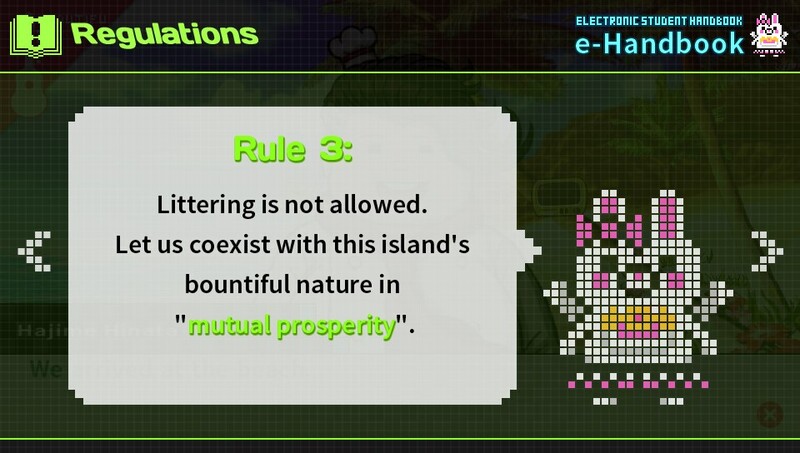 Monokuma’s new directive is simple: you want off the island, kill someone and don’t get caught. Of course, he’s not willing to let it sit at that, and constantly employs more and more motives to instigate murders in hopes that everyone will kill the mess out of everyone else, for the same reason as ever: to cause despair. 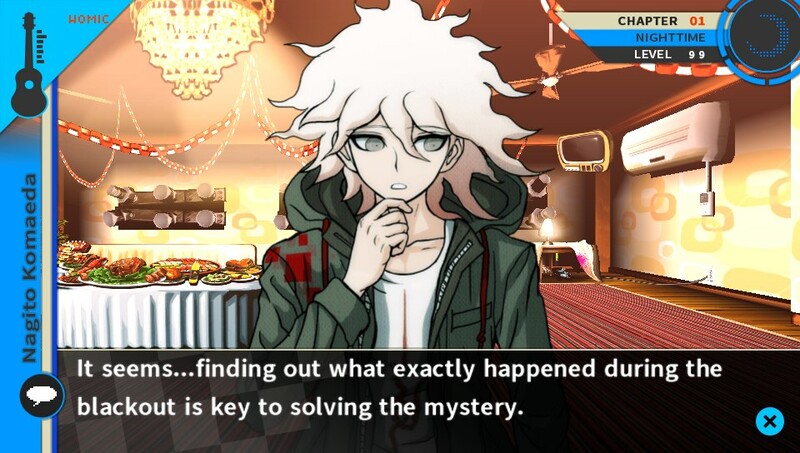 Now, the original game did a bang-up job of layering mystery on top of mystery, so you’d think a game that starts off the exact same way would fall victim to the downside of milking the experience and repeating the same scenario, but Dangan Ronpa 2 goes out of its way to avoid falling into that trap. 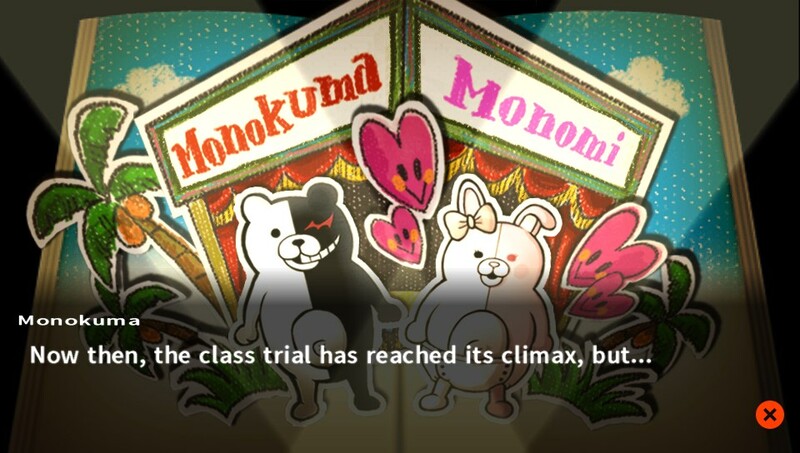 While the original game made it a point to obfuscate specific plot points until the endgame, this time around those plot points are brought to the forefront, by Monokuma himself no less, in the very first act. The mysteries this time around are a lot more involved and complex, and while the game does a good job of hinting toward what the final mystery is at various points, it keeps a lot of its cards close to its chest, so you’ll find you don’t really know what’s going on at all times. This is helped by a cast that’s just as complex as the prior game, to the extent that it’s often a lot more difficult to figure out what cards each character is keeping close to their chest, and while in the prior game it wasn’t too difficult to guess whodunit, this time it can (at times) be a lot more complicated. 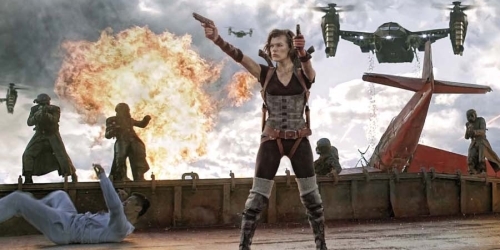 The core concept isn’t as fresh as it was the first time around, though, and the plot spends a lot more time full-on gut punching you than its predecessor did. This also isn’t helped by the fact that the plot is a lot more morose and less, well, hopeful than the first game, or the fact that the ending kind of feels like it’s lacking in comparison to that of the original, mostly due to what the final scene leaves out, which makes the story, and the characters, feel less important than they should. On the other hand, it still manages to avoid the “LOOK AT ME I’M SO SMART” problem Virtue’s Last Reward had, and manages to explain a lot of the under-explained concepts from the first game, so overall, it’s a fantastic ride while it lasts, and you’ll almost certainly appreciate the cast, even if the game could stand to a little more. Visually, the game looks like its predecessor in a new location with a new cast of characters. The game uses the same visual engine as its predecessor to much the same effect, so the characters are all rendered in a flat-looking 2D while the game world is rendered in a combination of 2D and 3D setpieces. This means that, as you move and rotate the camera, 2D objects pan and flatten out, while 3D objects either move with your view or distort, which makes for a really interesting visual effect. There are some obvious variances to the visuals, such as with the new trial mini-games or in the new primary movement system that uses a 2D plane instead of fully 3D environments, and these, combined with the all new environments and characters, help the game feel almost entirely fresh. The Monokuma sprits is almost certainly reused, though, as are a few others, but these reuses don’t pop up too often so you won’t find them too problematic. Aurally, however, there’s a little bit more obvious reuse, mostly surrounding the soundtrack. While there are several new tracks or remixed original tracks (such as the title track), more than a few songs are reused from the original game. This isn’t a big problem, since the songs that are reused are generally awesome, and the soundtrack is still amazing overall, but it’s obvious when a track makes a reappearance, even so. The audio effects also feature some reused elements, though most of these are something of a necessity, and the new effects that pop up fit right in with no issue, so this isn’t really a problem as everything sounds peachy. The star of the show, though, is the voice work, as the voices, both in English and Japanese, sound excellent, though the English voices seem a little more… emotive this time around. The new and returning voice team really do a great job, and while the star of the show is Johnny Yong Bosch (because dude’s in everything anymore) as Hajime, everyone else keeps up with him nicely, to the point that the English dub is (sorry purists) as good as or better than the original voice work. 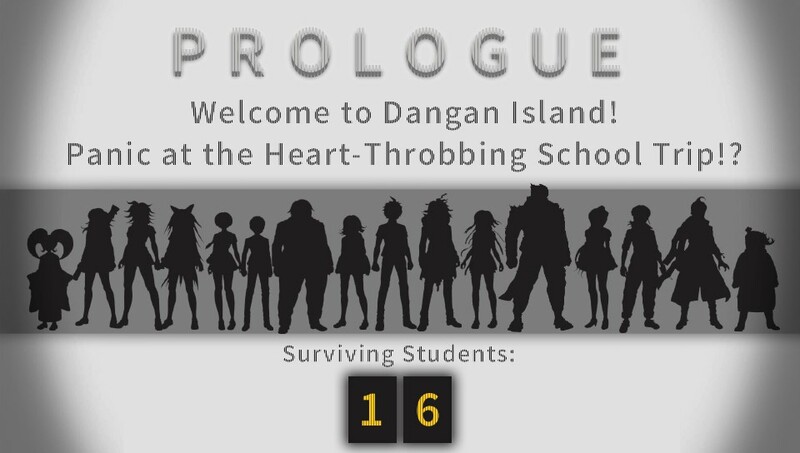 If you missed out on the first game, well, you should probably go buy it (or at least check out our review, linked above), but either way, the gist is as such: sixteen students are trapped in a location together, essentially against their will, by the generally evil force known as Monokuma. In order to leave said place, sayeth our monochrome overlord, you must kill one (at least) person and not get caught for doing so; success grants you egress from the island, while failure nets you a swift and painful demise. 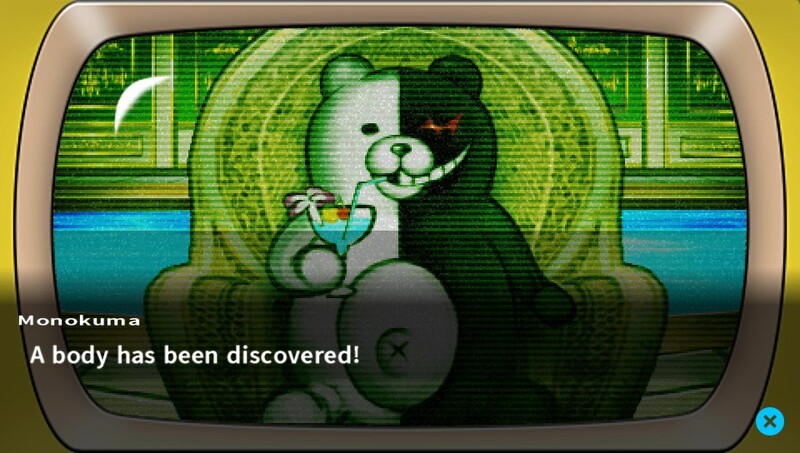 The game is broken into chapters that essentially follow the basic flow that comes about from this sort of existence: you get a few days of “daily life” where Monokuma gives you your motive and you can socialize, someone dies, you spend a bit of time in “deadly life” looking for clues, then move onto the class trial, where you prove whodunit or die trying. Mechanically, this is actually broken down into different play styles in each section; the daily life sequences are similar to visual novels and dating simulators, the deadly life sequences are more like your typical adventure game, and the class trials are a weird hybrid of visual novels, rhythm games, shooters and other sorts of random mini-games. 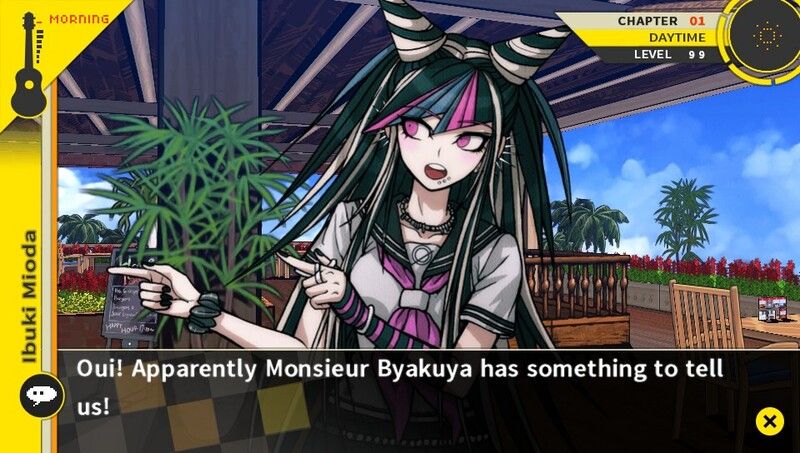 This crazy variety is a big part of what makes Dangan Ronpa so interesting and memorable as a series, and fans will be pleased to know that this is in full effect in the sequel as well, though there’s a good bit of new content and several new systems, so you won’t find it to be a big retread. The first big change is in how you navigate the game world. In the first game, all of the player movement was done from a first-person perspective, or by using the map to teleport to set points when you wanted to cut down on the manual travel. This time around, the overworld is set up as one big circle, and you run around the various islands via a side-scrolling, 2D track. You can either walk or run manually with the analog stick, or press the D-Pad to automatically move to the next point of interest as you wish, depending on how interested you are in moving around or how much you want to get on with things. When you go into locations they maintain the standard views we’ve come to expect, though, so those who appreciated the static and mobile 3D views will be pleased to know those mechanics are still in the game, though 3D movement is limited to a few locations only. Map teleportation is still an option as well, though, so you can just jump to the various islands as you wish as more open up, though you’ll still need to move to the specific locations in each that you want to visit. Overall, this makes getting to the places you need to go to a lot easier than in the prior game, as you can just teleport to an island, then press the D-Pad directions to cycle points of interest instead of having to look around a lot to find the specific place you want to get to. The other major changes come in during the class trials, as they’re very much renovated to change up existing elements while keeping much of the inner workings intact. The only real holdover from the original game is the Nonstop Debate, which, for newcomers, is essentially a legal debate sequence, with shooter elements. 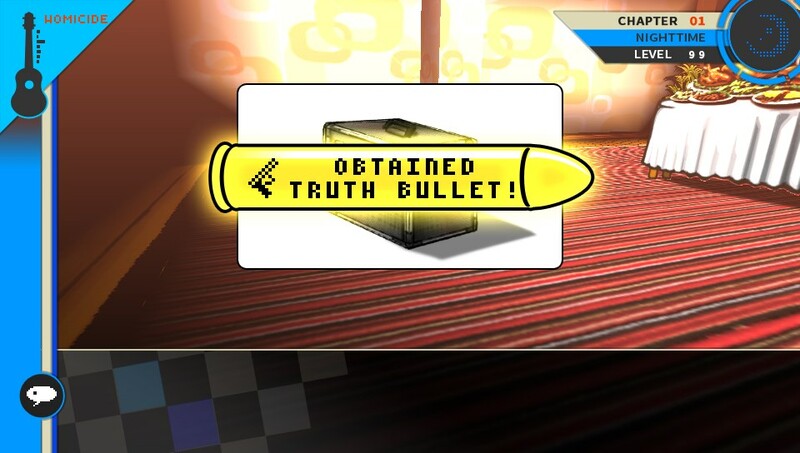 Various phrases show up from the different people in the trial, and some of them will contain fault points (colored yellow); you have to select the correct evidence, dubbed Truth Bullets, from your supplied list and shoot the appropriate phrase to contradict it, which moves the case along. The expected mechanics you’d assume would be here are still here, which means that higher difficulties will provide more Truth Bullets to choose from, and purple White Noise phrases (basically people whispering in the background) will pop up that impede your aim unless you shoot them down first. Conversion is still an option as well, meaning that you can take a phrase someone says, convert it into a Truth Bullet by fixing in on it for a couple seconds, and then shoot it at another statement to break open a debate. However, this time around, phrases can also pop up in blue, and you can shoot Truth Bullets at these phrases to agree with the assessment; in this case, your Truth Bullet essentially acts as corroborating evidence of the person’s statement, which also allows the case to move forward. This is probably the smallest change made to the game, but it changes up how the Nonstop Debates function quite a bit, especially when Debates have both contradiction and agreement statements available. The various minigames that pop up during trial have also been dramatically overhauled. Hangman’s Gambit, originally a shooting gallery, has become (Improved) Hangman’s Gambit, which has pairs of letters flying in from either side of the screen that you can pick up and drop to make into larger blocks that can be detonated, either to get rid of them and any similar letters in the blast radius or to add them to the word (if you’re correct). Bullet Time Battles have been replaced with Panic Talk Action (or PTA), which uses a similar rhythm game system, but now you need only hold X down and release it to the beat instead of pressing it repeatedly, so it’s a lot easier to keep time with the beat. 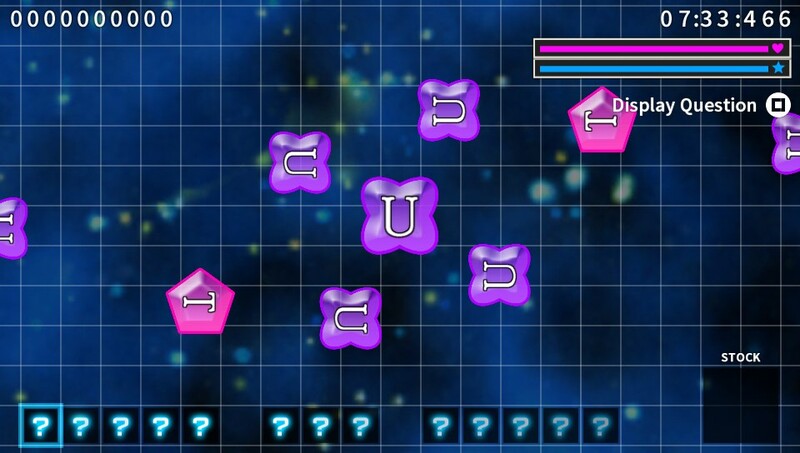 Additionally, you’re no longer required to shoot down their argument with a Truth Bullet; instead, four fragments of a phrase appear on the sides of the screen and you have to press the corresponding buttons in the right order to make the correct counter phrase to end the battle. The other rules of BTB have been retained, however, so you’ll still see opponents block out the display, still be able to kick in Fever Mode to shoot whenever you want, and still have to reload your bullets on higher difficulties. Two new games have been added to the mix as well: Rebuttal Showdowns and Logic Dives. The former are essentially other characters interrupting your interruptions, and you have to swipe the screen to hack apart their arguments, then bring your counterargument (represented as a Truth Sword, essentially) down on their faulty argument when it appears. Logic Dives, on the other hand, are basically dumbed down snowboarding races, where you have to avoid holes and obstacles while picking the correct paths to the end, which reveals new information to progress the debate along. Finally, while the normal “choose the correct response” and “choose the correct evidence” bits are still in the debates, they’ve also been joined by sequences where you’ll have to point out the correct spot in a picture to move along. 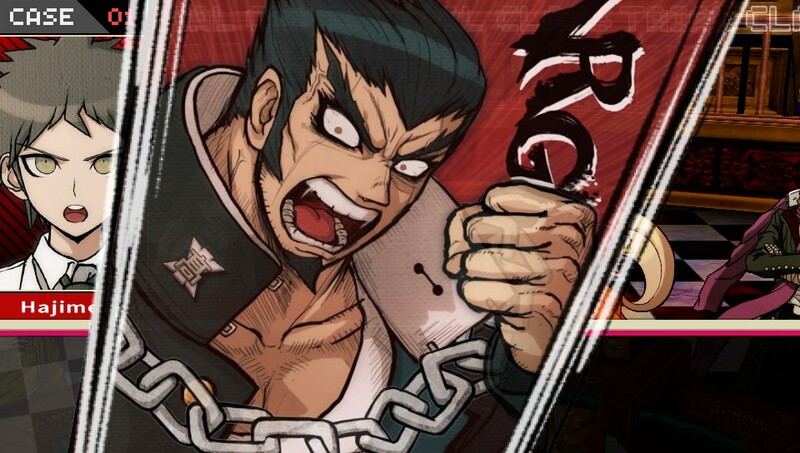 Because of all of the additions and changes that have been made, class trials almost feel like a completely new thing, and a lot of the new additions really improve the experience over the first game. Most of the remaining changes that have been made are much smaller, but they add up to make the experience feel a lot more robust overall than the first game. In the original, as you talked to people and gave them gifts, you’d get Report Card pages for them that told you more about them and unlocked specific skills you could use based on the page unlocked. This time, you still unlock Report Card pages, but now you get Hope Shards, which can be turned into Monomi on the Report Card screen to unlock skills, so you can buy what you want instead of having to talk to the right character to get specific skills. Each character has a special skill they bequeath unto you when you’ve completed their Report Card, though, so it’s beneficial to do this thing all the same. 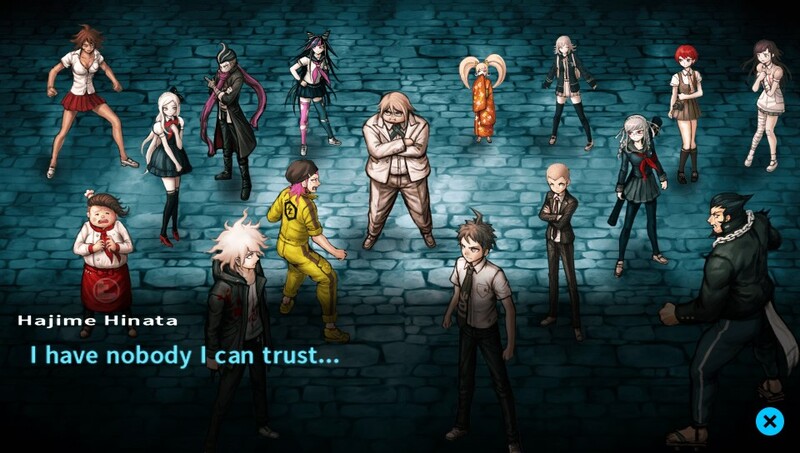 Also, you’re no longer tied to how many SP boosts you’ve unlocked from Report Card pages when considering how many skills you can unlock; this time, as you walk around the island, discover things and otherwise make progress, Hajime earns experience points, and each increase in level gives you one more point to invest in skills during trials. You now top out at Level 99, so you can equip a whole lot of skills, but given how many more skills exist relative to the new minigames, it isn’t terribly unbalancing or anything. 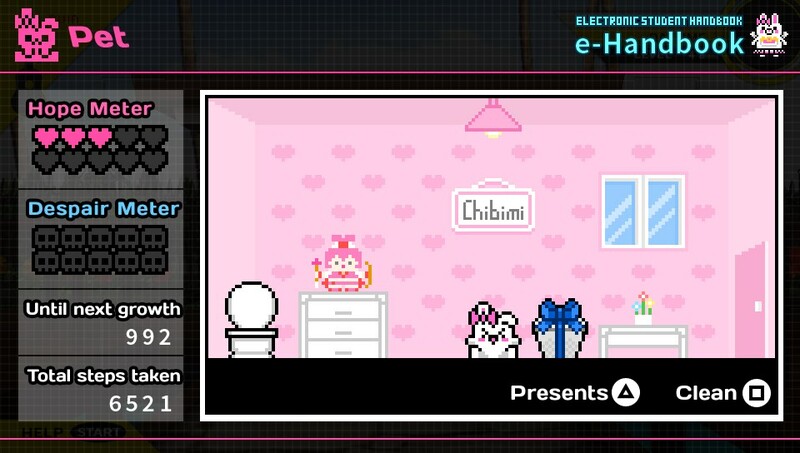 Walking around also evolves the new Virtual Pet who lives in your E-Handbook (inventory), which is basically something of a Tamagotchi, though you can really only do two things with it: give it gifts and clean up its poop. The pet is ranked in two categories, Hope and Despair, and you can raise each by giving it presents and failing to clean up its poop, respectively. Depending on what rankings it has in those two categories, after about a thousand steps it goes into an evolution state, and then becomes a new evolved animal relative to those stats. There are six possible evolutions in total, and each one pays out to you in Monocoins and items if you can keep it alive to the end (if a pet hits max Despair it full on dies… usually…), so it pays to keep your pets alive. Finally, you no longer get Monocoins from rooting around the environment, but you can now look for hidden Monokuma plushies in the game world; each pays out a small Monocoin payment, and with thirty hidden in total, it’s worth it to find them all. You can complete the game’s core plot in around fifteen hours or so, but there is so much more to the game than just its plot, and even beyond what was included in the first game. School Mode makes a return, which is a resource gathering sim of sorts that tasks you to collect items to make requested items for Usami instead of solving murders and allows you to make deep connections with your classmates, and it’s as involved as ever. 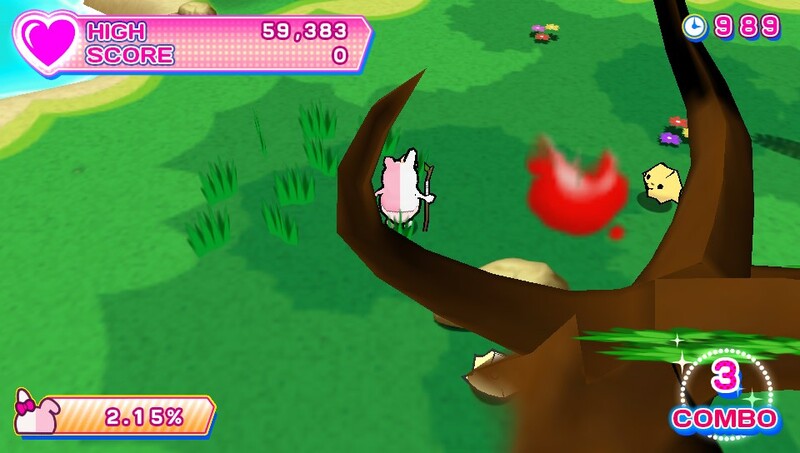 You’re also given a silly action game called “Magical Girl Monomi,” where you have to kill Monobeasts to liberate the islands (essentially playing through Monomi’s battles she mentions in the plot) while collecting better equipment and other random drops. 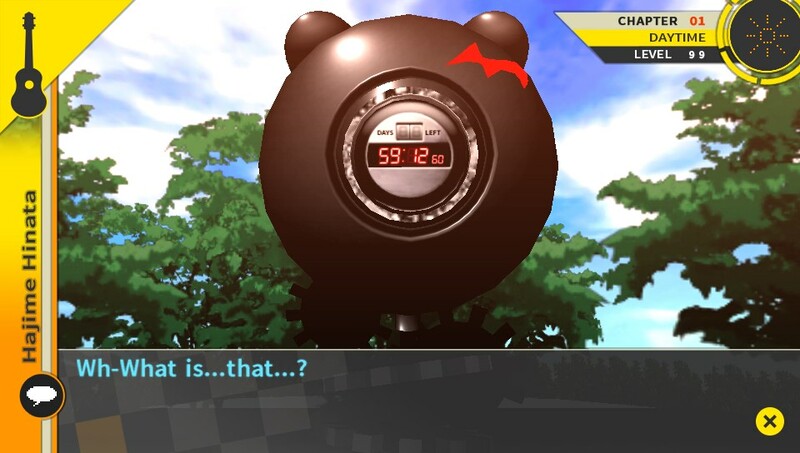 There’s also the expected stuff, like the MonoMono Yachine (Monokuma Prize Machine) that lets you turn in coins for prizes to collect and give to your friends and the Gallery that lets you collect event scenes, music and such. 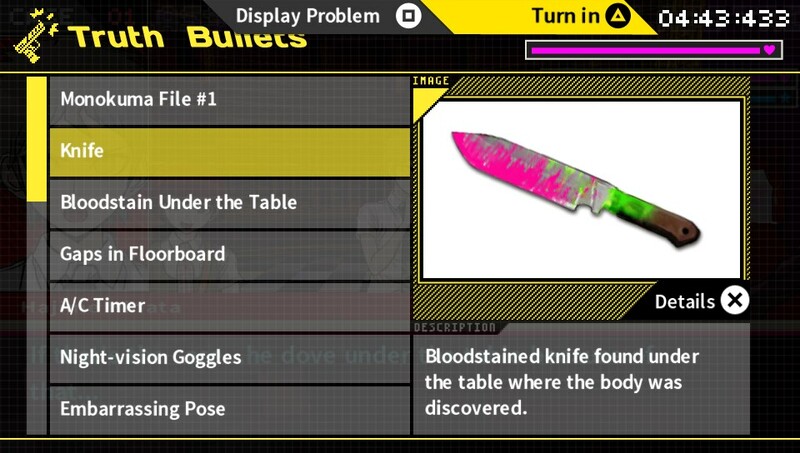 Further, however, you can also hit up the Vending Machine to buy specific prizes at a fixed cost (for easy items to give your Virtual Pet or to fill in specific holes in your prize list), or even read the light novel Dangan Ronpa IF that NIS actually translated and kept in the game. I cannot stress how awesome that is, honestly. There is, easily, a huge amount of content to play with here, far more than in the original game, whether you’re a Trophy hunter or not, and I can easily say that you’ll find plenty of things to bring you back to the game over and over again. 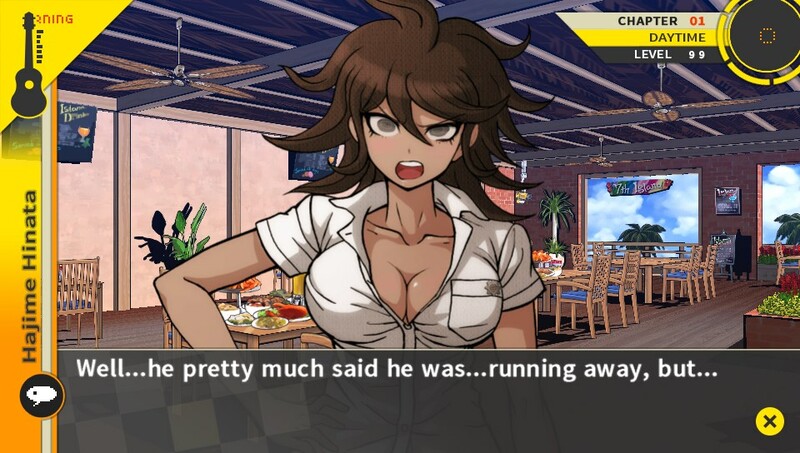 Now, outside of the slightly unfulfilling ending, probably the single biggest flaw in Dangan Ronpa 2, and the fact that this is the biggest flaw says a lot about how high quality the rest of the game is, is that “Miracle Girl Monomi” commits the cardinal sin of being a minigame that isn’t very good, offers you no benefit for playing it, but requires you to play it if you’re a completionist. The minigame itself is inoffensive, if not especially great, and playing it through to the end once would probably be fine if that’s all you had to do. However, there’s a Trophy tied into collecting every single piece of equipment, and this Trophy is a nightmare of grinding to unlock. It takes literal hours to do this thing, and the minigame is barely fun enough to support playing it through to the end, let alone multiple hours of grinding. That the minigame in no way influences the game makes this harder to swallow, as at least other bits of grinding you’ll have to do throughout the game (such as for Monocoins or White Noise) at least have the potential to pay off in other ways. This doesn’t pay off in any way except to get you more gear for a minigame you almost certainly won’t want to play anymore as soon as you’ve unlocked the Trophy, if not before then. This wouldn’t be a notable complaint except that Dangan Ronpa 2 didn’t have a solo Japanese release, so this Trophy is all NIS, and that honestly makes me very sad. They were probably following the Monomi Flower guideline that (apparently) existed in one of the Japanese releases, but even so, this is no good. Beyond that complaint, though, there’s… not really a lot else to say about the game that’s really bad, honestly. There are some translation issues here and there (IE statements that don’t quite work out in English, random page breaks to an unused third line) but they’re generally very infrequent, and given the sheer volume of translation that had to be done here they’re mostly inoffensive. The game doesn’t feel as fresh as its predecessor because it does still tread some of the same ground as the first game, and while it does a lot to try and be its own thing there are times where it’s obvious we’re playing a sequel. The (Improved) Hangman’s Gambit also isn’t really an improvement; it’s certainly more interactive than the original minigame, but it goes too far in the other direction and ends up being a giant pain on higher difficulties, to the point where it can be painful to get through. Also, the Rebuttal Showdowns never really clicked; the idea is neat, but the execution took some getting used to and never really locked itself in, though after a bit of practice it ended up being easier to work with than it first seemed. 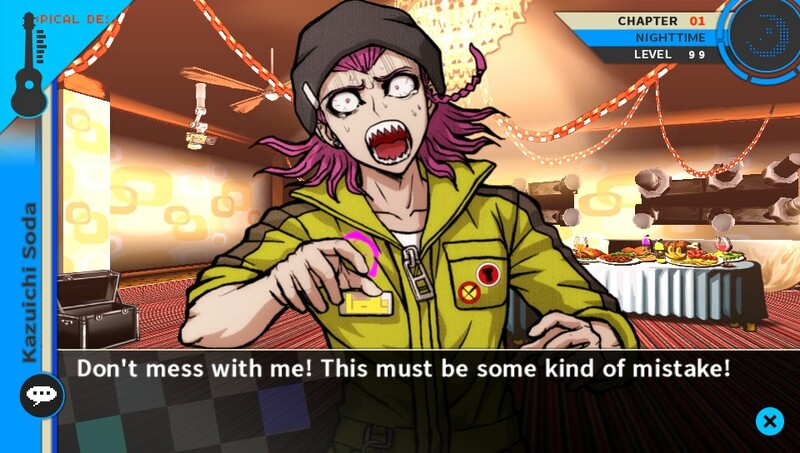 All told, Dangan Ronpa 2: Goodbye Despair is mostly comparable to its predecessor, as it expands on the majority of the concepts in the original and is a much more robust and varied experience, and while it doesn’t quite blow your socks off the way the first game did, it’s still one of the best games on the Vita at the moment. The plot manages to be as mysterious as that of the first game while not retreading the same ground and answers a lot of the hanging mysteries from that game without getting too windy, and the game looks and sounds excellent overall. The gameplay is just familiar enough that fans should be able to slip into the game with little difficulty while also being different enough that it won’t feel like a rehash, as many of the mechanics have been changed or tweaked to make the game feel fresh. 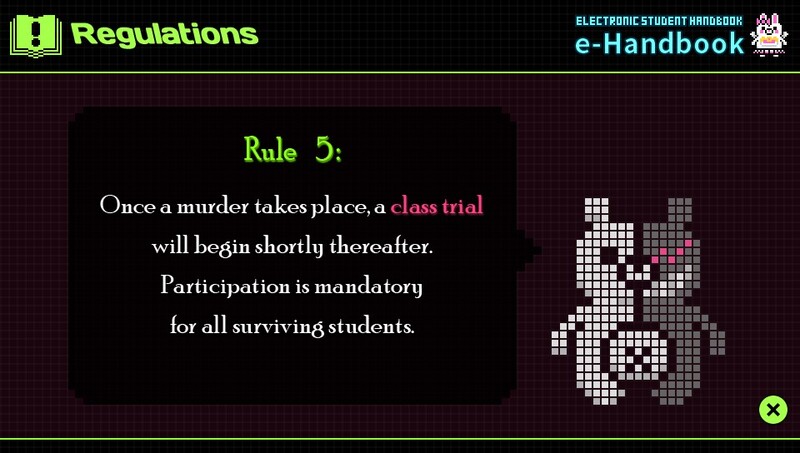 The core concepts, such as talking to your friends or searching for clues, remain more or less intact, but class trials feature a slew of new gameplay modes to learn and master, and there’s also a ton of content to play with even when you’re done with the storyline so you’ll want to come back for a while. That said, the plot doesn’t end on the most satisfying note and almost leaves the characters feeling like an afterthought, there are some reused visuals and audio, the “Magical Girl Monomi” minigame isn’t great and has a grind-heavy Trophy tied into it, some of the minigame changes don’t fully work out as improvements, and there are some minor translation issues here and there. That said, the majority of the issues noted above are honestly minor, and really don’t take away from the generally awesome experience that remains. 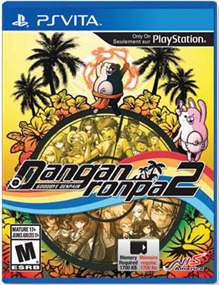 Put simply: if you own a Vita, you should own Dangan Ronpa 2: Goodbye Despair, as it’s one of the best games on the console, and while it doesn’t quite outshine its predecessor, that’s more because the first game was so awesome, not because this game isn’t worth owning. I’ll make this simple: if you own a Vita, you should own Dangan Ronpa 2: Goodbye Despair (and the first game if you somehow missed that too) unless you absolutely hate visual novels, period. 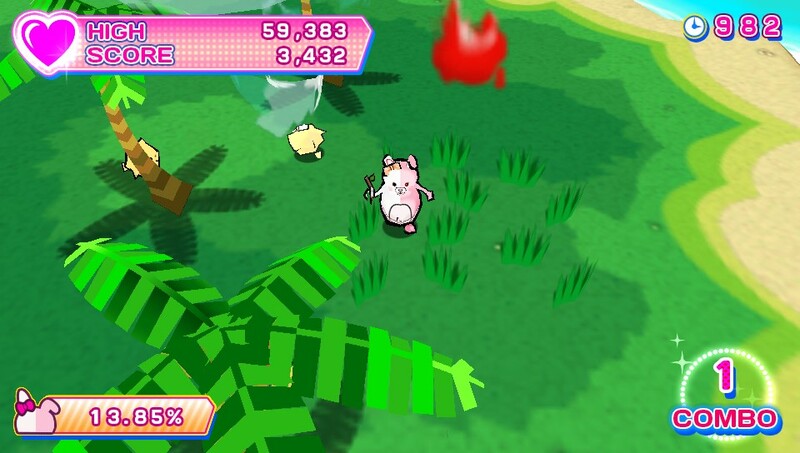 The game has issues, certainly; the ending isn’t all it could be, some of the assets are reused from the first game, the “Magical Girl Monomi” minigame is kind of weak and has a grind-tastic Trophy tied to it, and some of the minigames could use some tweaking. That said, the positives far outshine the negatives, and how. The plot avoids retreading the same ground of the first game while still offering a compelling story that answers a lot of the questions the first game left lingering, the visual and aural presentation are generally outstanding, and the game changes up a lot of the mechanics in intelligent ways to make the game feel fresh while still offering up elements the fans loved. 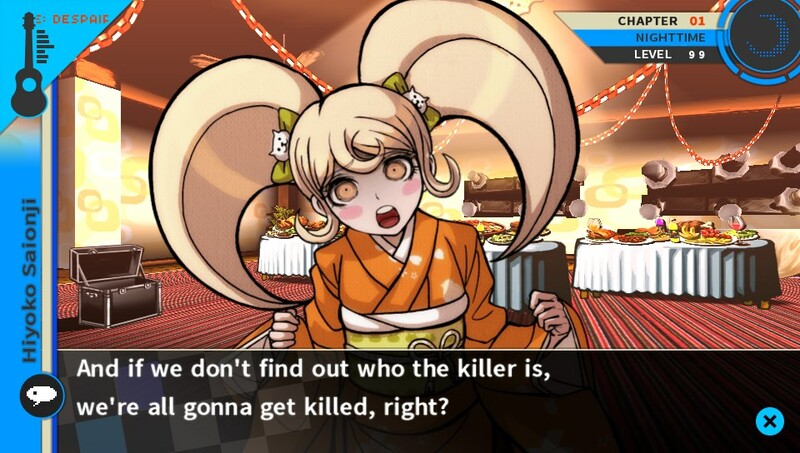 The core gameplay retains the same visual novel and adventure game elements, but the class trial mostly features improved or brand new minigames to play that make the experience more fun, and there’s far more content in this game than in the prior one, both expected and completely unexpected. Hell, there’s a freaking light novel in here for you to read, and it’s pretty good too. Honestly, unless you hated the first game for some reason or hate reading, Dangan Ronpa 2 is on the short list of the best games available for the Vita at this point, and you’d be doing yourself a disservice if you missed it. Byakuya, Y U so fat?